Children can learn foundational programming and basic coding skills hands-on, while playing and having fun. The Botley activity set promotes critical thinking and problem-solving skills and is perfect as a holiday gift! Botley the interactive robot introduces the basics of coding to children in an easy, friendly way. Children as young as 5 can learn to code with Botley, and older children will be able to take on board the more difficult challenges and complex coding sequences! Botley is STEM approved by the prestigious STEM.org as a product that meets the standards for Science Technology Engineering Maths. Unlike most coding robots, Botley does NOT require a screen- you don't need to use a tablet or a smartphone to program Botley. You can use Botley straight-out-of-the-box and kids can be coding in minutes! Children will enjoy learning how to program Botley to go around objects, follow looping commands, follow black lines, take on challenging obstacle courses and unlock special hidden features! These are the foundational concepts behind programming and with many advanced features, coding challenges can increase in complexity and difficulty as children move up the learning curve. Botley can be found in many primary classrooms in the very best schools as a key STEM learning tool, and is very popular for use at home. Botley has won multiple awards and accolades for its quality, durability, educational value and fun factor. These awards are from respected parent, teacher and educator groups, independent parent forums, leading parent and school magazines and periodicals, and reputable toy industry organisations. Primary Teacher Awards- 95.4% Score- Gold- "An excellent product that introduces children to the concept of coding. The younger ones were happy to program in basic commands while the older children tried the more complex sequence of coding." Right Start Awards- Top Winner- Gold- "Botley makes abstract concepts concrete and gets children excited about coding. Our four-to-eight year olds enjoyed plotting mazes and (without realising it) using logic to program Botley out of dire situations!" Good Toy Guide- Recommended- "The younger children engaged in simple programs- one group enjoyed programming Botley to move from one child to another (they were sat in a circle). This teaches cause and effect and logical thinking skills which are ideal as a basis for important STEM learning." Which Botley is right for me? 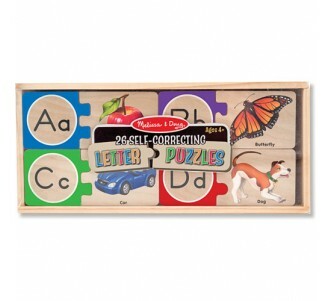 Janie & Joe offers two Botley coding sets. The introductory Botley The Coding Robot set has all you need to get started! Botley the coding robot comes with a remote programmer, detachable robot arms and 42 coding cards for a total of 45 pieces. You can purchase Botley online here. The brand new Botley The Coding Robot 77-piece Activity Set includes additional accessories for building more difficult obstacle courses. This set includes Botley the robot together with a remote programmer, detachable robot arms, 40 coding cards, and extras such as 6 double-sided tiles and 27 obstacle building pieces for creating more complex challenges! The set comes with a starter guide containing coding challenges. The 77-piece Botley Activity Set is available online here.